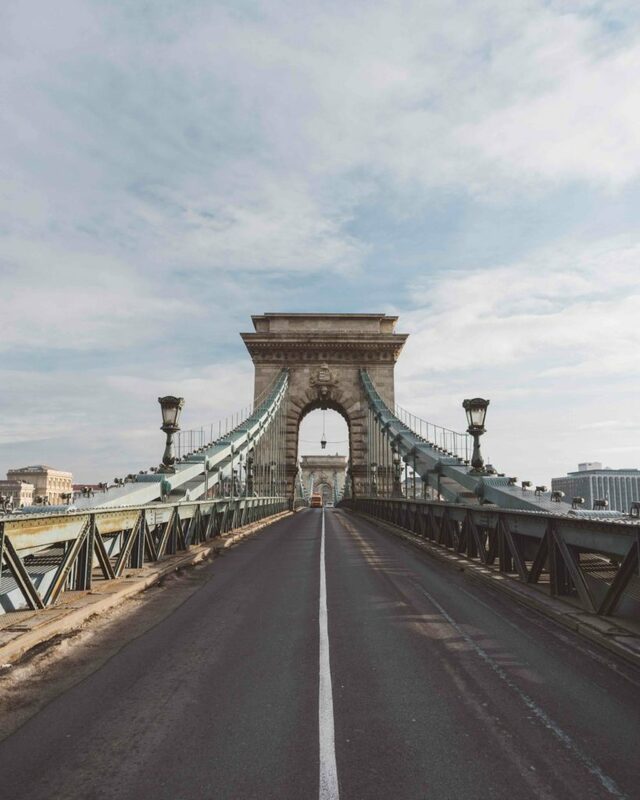 With a line-up of baroque, neoclassical and art nouveau buildings set around the Danube river, which itself boasts the magnificent Chain Bridge, Budapest is a treasure trove of world-class architecture. Beyond the beautiful backdrop, the Hungarian capital encompasses grand thermal baths, crumbling ruin bars and an eclectic line-up of restaurants serving everything from Hungarian goulash to Middle Eastern falafel. 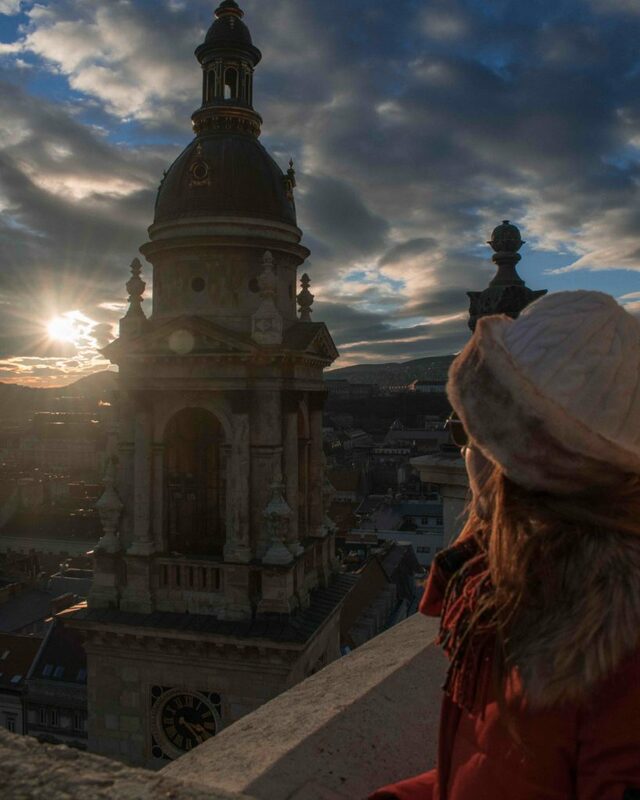 Discover what to see along with where to eat and drink with this Budapest travel guide. The best way to travel from the airport to the city centre is by bus. The 100E leaves from just outside the airport and takes 30 minutes to reach the centre. With only three stops, all of which are in the city centre, the journey takes around the same time as a taxi and costs a fraction of the price – a single ticket is 900 HUF/£2.50. Tickets can be purchased from the machine outside the terminal but bear in mind that it only accepts the exact fare. Alternatively, you can pay by card. If you do opt to get a taxi, you can expect to pay around £25. 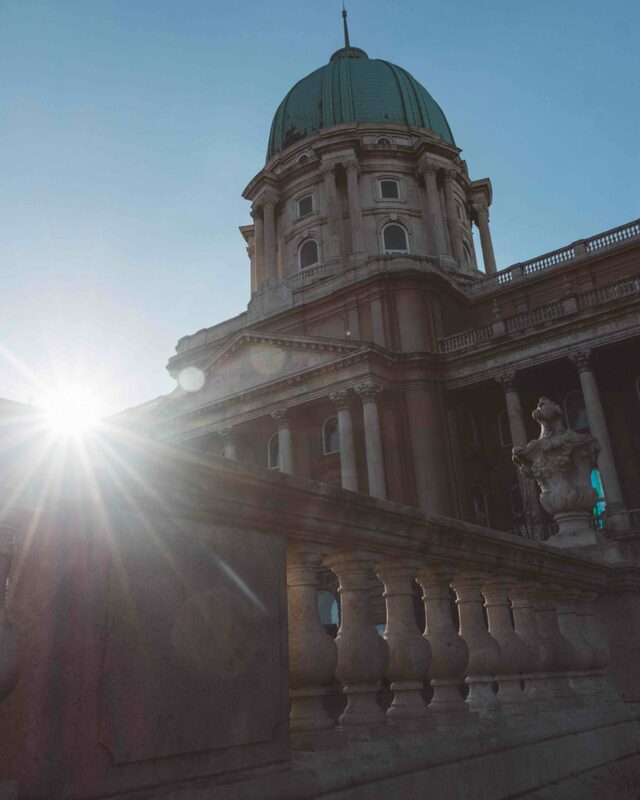 Built over a period of more than half a century (the dome collapsed in a storm during construction), St Stephen’s Basilica is Hungary’s most important Catholic church and the largest in Budapest. Inside, visitors can see the mummified right hand of King St Stephen, but the biggest draw is the view from the top of the dome. 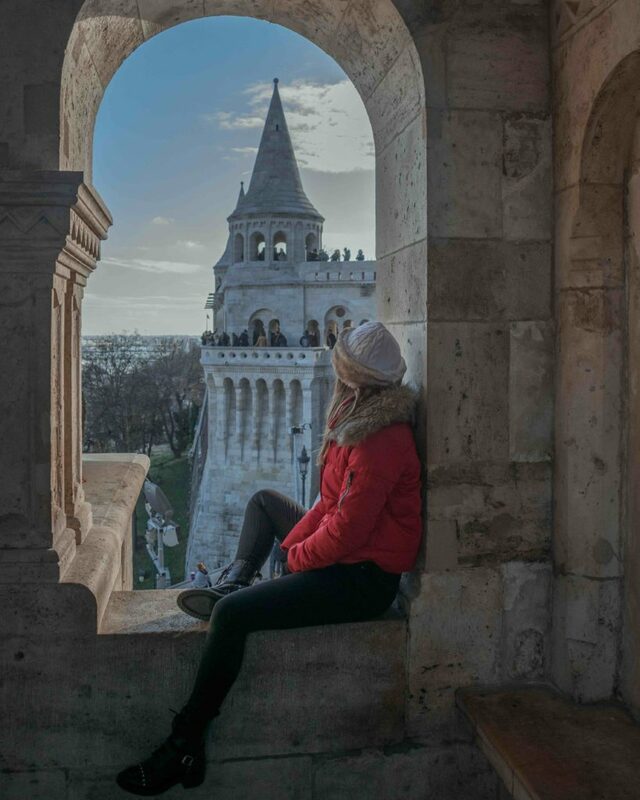 After climbing the 302 steps (or taking the lift), you’ll be greeted by panoramic views across the city, including the church’s twin bell towers and, in the distance, the Royal Palace and Fisherman’s Bastion. A good tip is to aim to visit the tower just after one of the cashier’s daily breaks in order to enter while it’s a bit quieter. The breaks take place between 12pm-12.15pm, 2pm-2.15pm and 3.30pm-3.45pm. Climb to the top of Castle Hill and you’ll be treated to views of the city from the other side of the river. 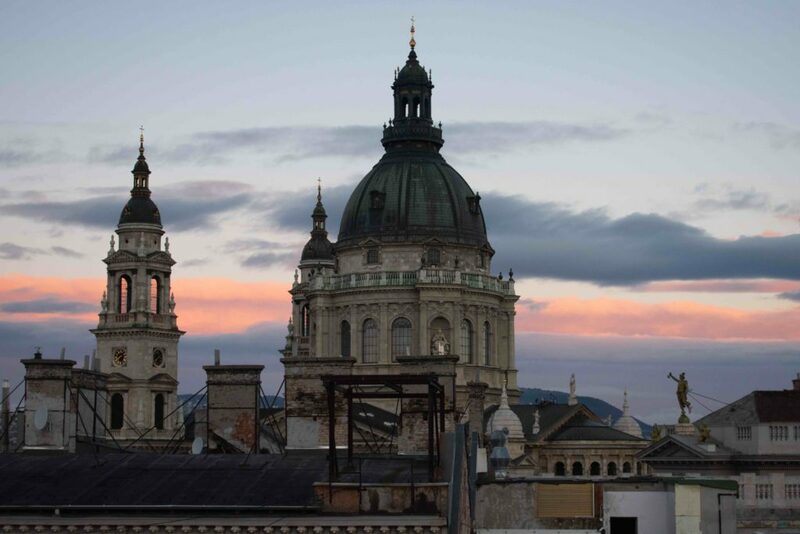 Home to the former Royal Palace, Hungarian National Gallery, Castle Museum and National Széchenyi Library, the hill has a number of attractions to explore. There is also the option to ride the funicular up to the top of the hill. 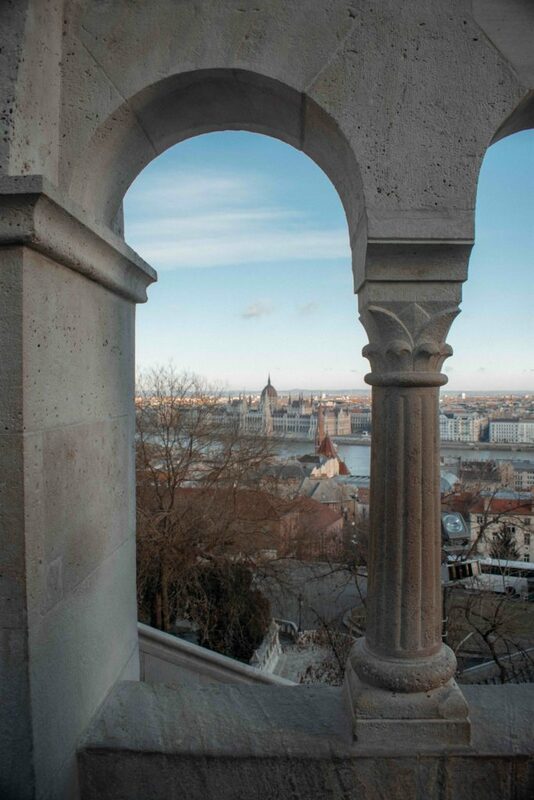 Built as a viewing platform in 1905, the neo-Gothic Fisherman’s Bastion is perhaps the city’s best viewpoint. The fairy-tale turrets provide far reaching panoramic views while the countless arch windows perfectly frame the grand parliament building across the river. Arrive first thing to see it crowd-free and beautifully lit in the morning light. Blending neo-Gothic, neo-Romanesque and neobaroque architectural styles, the imposing Budapest Parliament building is an eye-catching affair that can be seen from pretty much every viewpoint in the city. 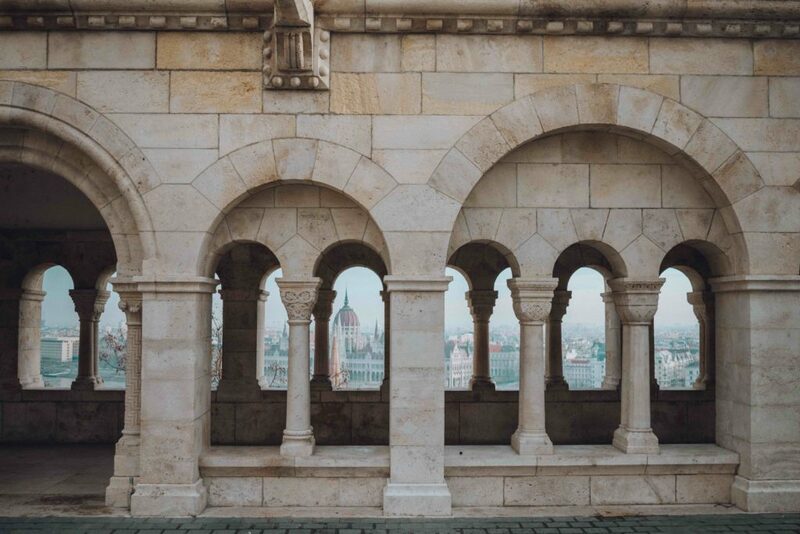 Sitting right on the riverbank, it lines 268 metres of the Danube, meaning it’s possible to take in the entire structure from across the river. There is also the option of taking a tour inside. 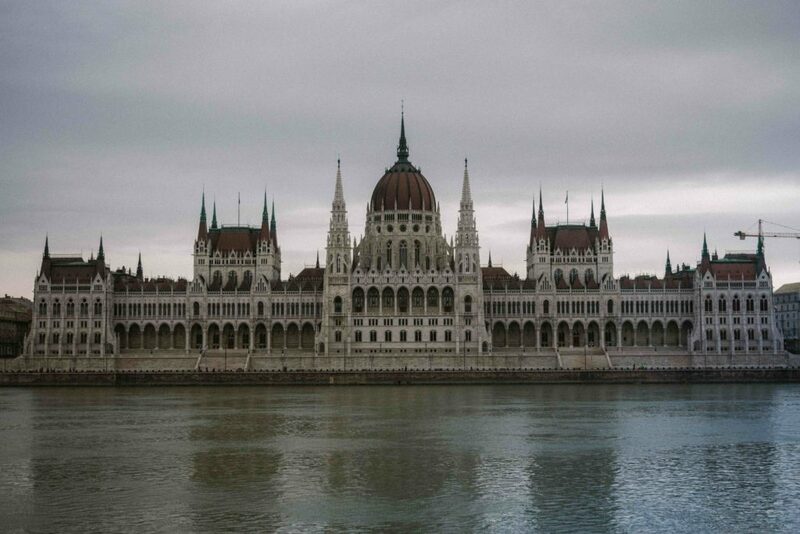 Budapest is famous for its thermal baths and the most famous of all can be found within Gellert Spa. With six thermal baths, three swimming pools and several saunas and treatment rooms sitting within a palatial Art Nouveau building, the labyrinthine venue provides a grandeur spa experience. The central swimming pool sits under a glass roof and is lined with soaring Corinthian columns while the thermal baths feature colourful tiled walls, mosaic floors and decorative ceilings. Book a cabin for a more enjoyable changing experience and don’t forget your swimming costume, towel, toiletries and flip flops. Connecting Buda with Pest, the historic Chain Bridge is one of the city’s most recognisable landmarks. It was the first permanent stone bridge to connect the two original cities and today it remains a major crossing point. The twin towers provide the perfect photo opportunity and they look particularly good when lit up at night. Serving traditional Hungarian dishes in the heart of the old Jewish Quarter, Getto Gulyas is the perfect spot to sample some local fare before hitting the ruin bars. Specialising in stews, its menu is made up of rustic and hearty dishes like venison and mushroom stew with bread dumplings, lamb paprikash with butter noodles, and roasted knuckle stew with parsley potatoes. The trendy interior contrasts mid-century modern furniture and retro touches with industrial elements like corrugated metal and exposed piping. Soft jazz music plays in the background and candles twinkle in the windows, making it the perfect spot for a romantic meal. One of Budapest’s hottest restaurants, Mazel Tov isn’t short on hype and you can expect queues out the door from lunch through to dinner every day of the week. The beautiful fairy-lit, plant-filled courtyard is certainly a striking place to dine and the Middle Eastern menu is filled with flavoursome options – the communal meat board is the perfect feast for two – but with laid-back staff that are only too aware of the restaurant’s popularity, its star may well be dimming. Be sure to make a reservation – no restaurant is worth wasting your holiday queueing. 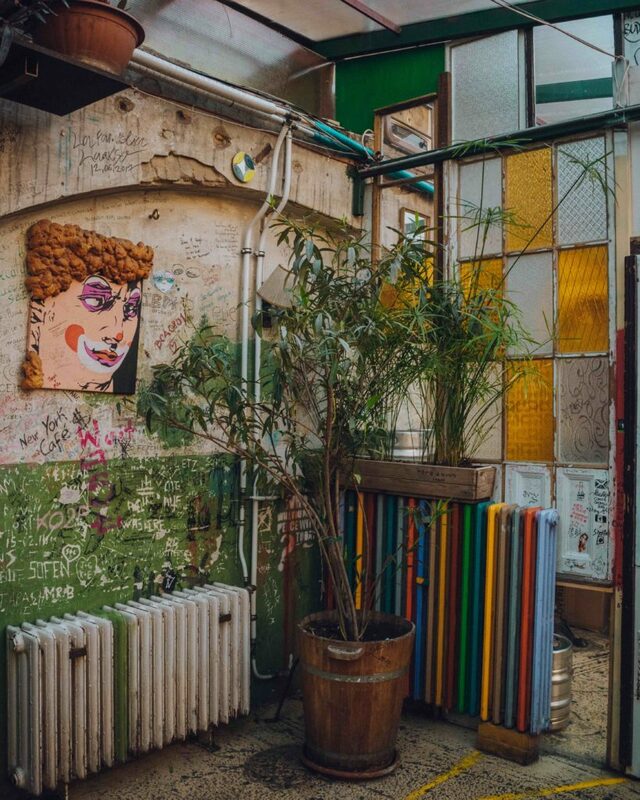 Located right next door to the famous Szimpla Kert ruin bar, this stretch of street food vendors has everything from pad Thai and pizza to vegan burgers and Hungarian stew. Standing wooden tables line the path between the vendors, but head right to the back and you’ll find a large seating area with heaters and parasols. Skip the tourist trap that is Central Market Hall and head to Hold Street Market instead. Located in downtown Budapest, the indoor market houses a number of mini restaurants –most notably the award-winning Stand25 Bistro (see below) – along with a farmers’ market selling an array of fresh fruit, veg, fish, meat, cheese and baked goods. There’s also a champagne bar and a coffee shop, making it a buzzing lunchtime spot. 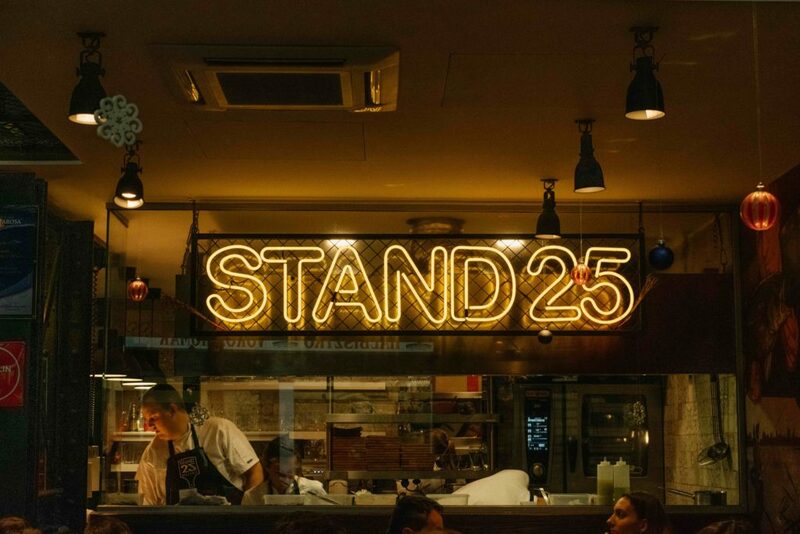 Having been awarded a Bib Gourmand within a year of opening, Stand25 Bistro has fast become one of Budapest’s most popular dining spots. Sitting within Hold Street Market, the restaurant serves a modern interpretation of Hungarian cuisine against the bustling backdrop of an indoor food market. Diners can choose between a two or three-course set menu made up of familiar dishes like goulash and pumpkin soup alongside more experimental options such as black pudding with apple puree and duck liver terrine with onion jam. Be sure to book ahead or arrive the minute it opens to secure a table. Decorated with retro 1970s wallpaper and mid-century modern furniture, Menza is a stylish place to dine. Split into three dining areas and a bar, the expansive restaurant is a good option if you failed to make a dinner reservation. The front of house staff are extremely helpful, giving the option to wait for a better table if the first one to become free isn’t to your liking, and the table service is swift but friendly. The menu is made up of Hungarian classics with a modern twist. One for the style conscious, Vintage Garden is a shabby chic eatery with perfectly manicured staff and a glamorous clientele. The menu features contemporary dishes like pizza, burgers and pasta along with local favourites such as goulash and gnocchi. For dessert, head next door to The Sweet by Vintage Garden cake shop. 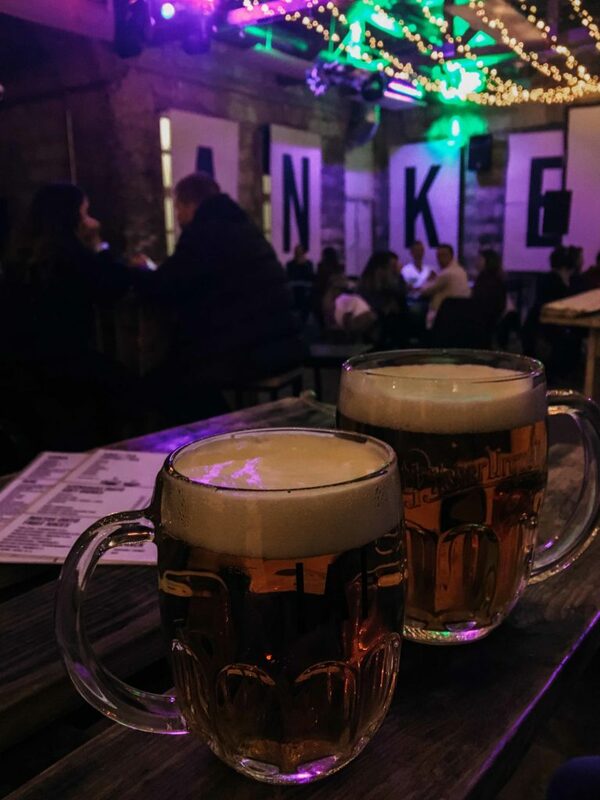 Sitting within a building that dates back to 1833, Anker’t is one of Budapest’s famed ruin bars, complete with crumbling walls, scaffolding and minimalist decoration. The venue is made up of several spaces, including a small dancefloor, a large entrance courtyard and several bars, but the highlight is the huge courtyard at the back. Here a giant Anker’t sign adorns the wall, neon lights beam sporadically and fairy lights dress the ceiling. Music comes courtesy of a line-up of DJs or a soundtrack made up of tunes by the likes of Fakear. At the bar, the headline drink is authentic Pilsner Urquell that’s served in the same traditional way as in the Czech Republic. Stored in a huge 1500 litre tank, the pilsner is unpasteurised with no CO2 added, meaning it retains its head and tastes just as good as it would when poured in a pub in Prague. 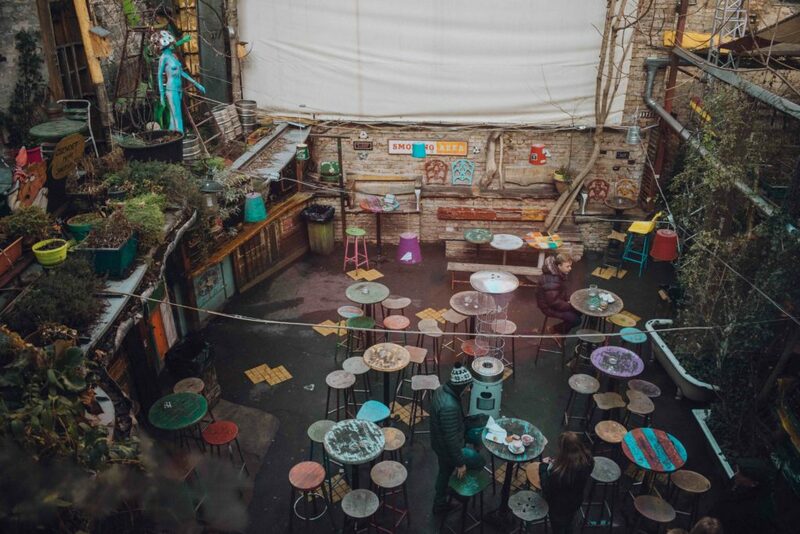 Budapest’s original and best-known ruin bar, Szimpla Kert is firmly placed on the city’s tourist trail, but it’s still a fantastic spot for a drink nevertheless. Set within a former factory, the huge space has the crumbling walls and hip aesthetic that’s become synonymous with ruin bars. Several rooms and bars are spread across two floors, with a mass of plants in the central atrium and a large courtyard at the back. Each room is filled with colourful mismatch furniture and eclectic artworks. Swing by on a Sunday to catch the farmers’ market, where you can buy fresh produce and baked goods as well as settle in for a sit-down breakfast, and keep an eye on the programme of music and film events. The subterranean Yellow Zebra is a casual spot linked to the cycling tour agency of the same name. Spread across three areas, it’s a bar and restaurant in one with a number of Hungarian and Czech beers on tap and a very small kitchen serving rustic local dishes. There’s an eclectic programme of live music throughout the week. This hip spot serves some of the cheapest drinks in town, with a round of beers coming in at half the price of other bars in the vicinity. 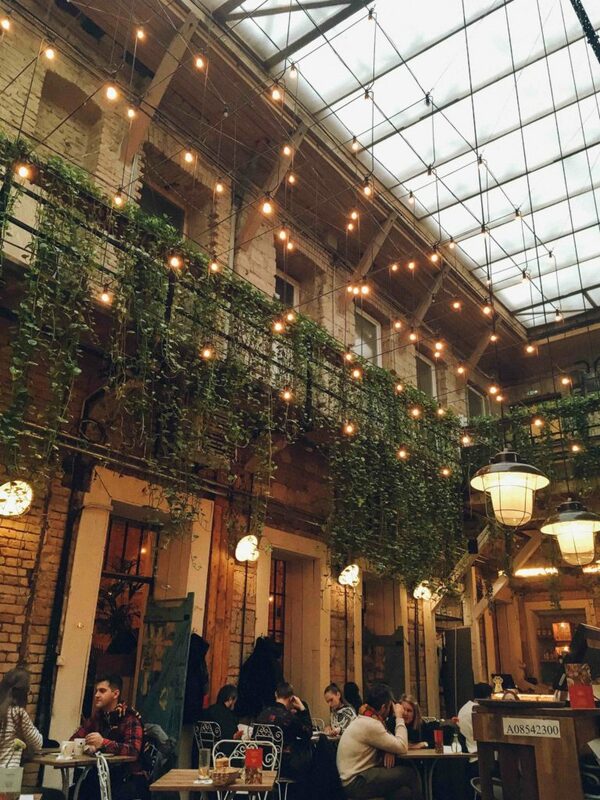 A popular spot with artists, there’s a rotating display of artworks adorning the walls while oversized hanging plants, exposed brickwork and low hanging lights make up the rest of the décor. Popular with the locals, this relaxed spot is a café by day and bar by night. With a sophisticated student union vibe, the café attracts a young, trendy crowd with groups gathering in lounge chairs amongst low-key furnishings and an old television set. Head upstairs for a seat overlooking the bar and stick around until after 10pm for live DJ sets.